Crested Wheatgrass was introduced from Russia, Siberia and Turkey, perhaps as early as 1898. 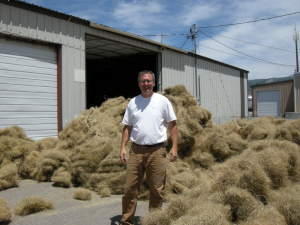 This is a long-lived, easy to establish bunchgrass with a deep root system making it the perfect perennial for reclamation, stabilization and erosion control. Crested Wheatgrass can be found on most rangelands of the intermountain west. It is adapted from 2,500-9,000 feet, though it performs best between 4-6,000 feet. It prefers well drained soils, and is not adapted to poorly-drained soils or heavy clay soils. It requires a minimum of 10″ of annual precipitation. It has fair tolerance to alkaline and acidic soils. 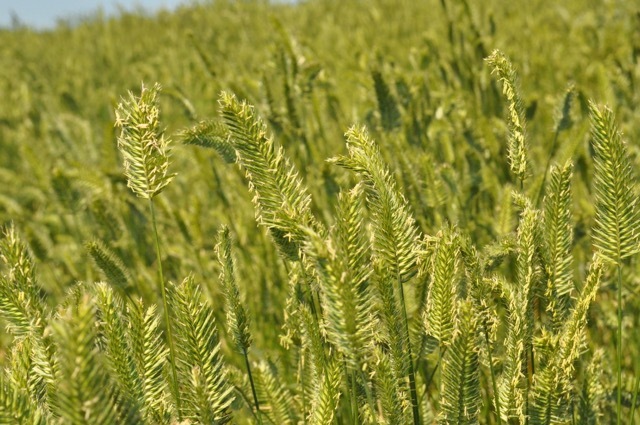 Crested Wheatgrass produces fair forage. As the grass matures is becomes harsh and protein content drops rapidly. It does, however, yield well and is highly palatable in the spring. It is often used for reclamation, stabilization, and erosion control and is a smart choice in any dryland. It is a primary component of our Dryland Pasture Mix. 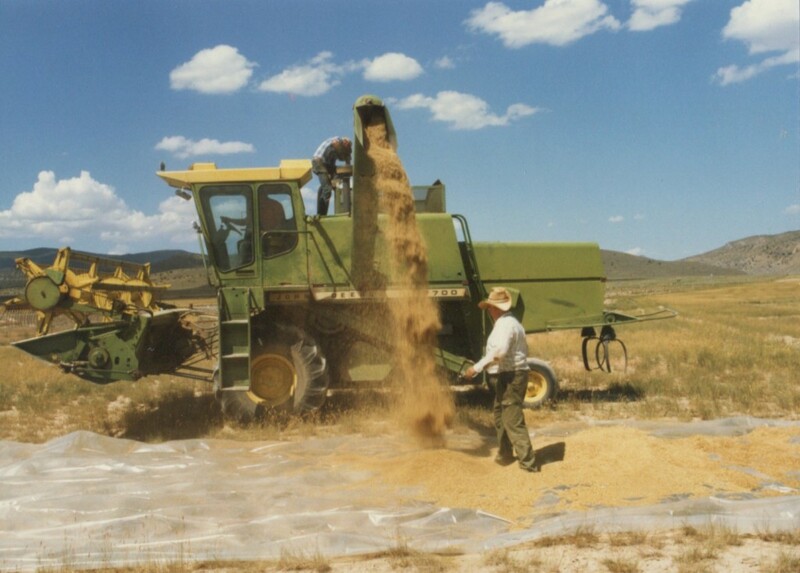 Because of the ease establishment, longevity and broad value it is planted more frequently in the intermountain west and desert southwest than any other grass species for dryland pasture, most use Crested Wheatgrass for reclamation and stabilization. Agropyron cristatum should not be confused with Agropyron desertorum, though the two are closely related. Hycrest is a hybrid between A. cristatum and A. desertorum. Fairway: introduced/released 1983, from Ankara Turkey. Fairway’s rhizomatous growth habit make it well suited for soil stabilization. Ephraim: released in 1994, a hybrid of four accessions. Quality forage value, high seedling vigor. Roadcrest: introduced/released 1998 from Iran/Turkey. Roadcrest is shorter and has a finer leaf texture that other varieties, and as the name suggests, is used for roadside reclamation and low maintenance turf areas. It is more sod forming and less clumpy than other crested wheat grasses. Kirk: introduced/released from Siberia in 1297. Short and fine-stemmed. Capable of forming sod in dryland areas. For additional information see the USDA PLANTS database.